Salt Spring Reads is an online book club/review. For this column I try to find books that you might love to discover, books with a Salt Spring connection. Reviewed books are available at the Salt Spring Library and/or in local bookstores. Feel free to share your comments. Maryanna Gabriel is an artist living on Salt Spring Island. She has experience working as a graphic designer. 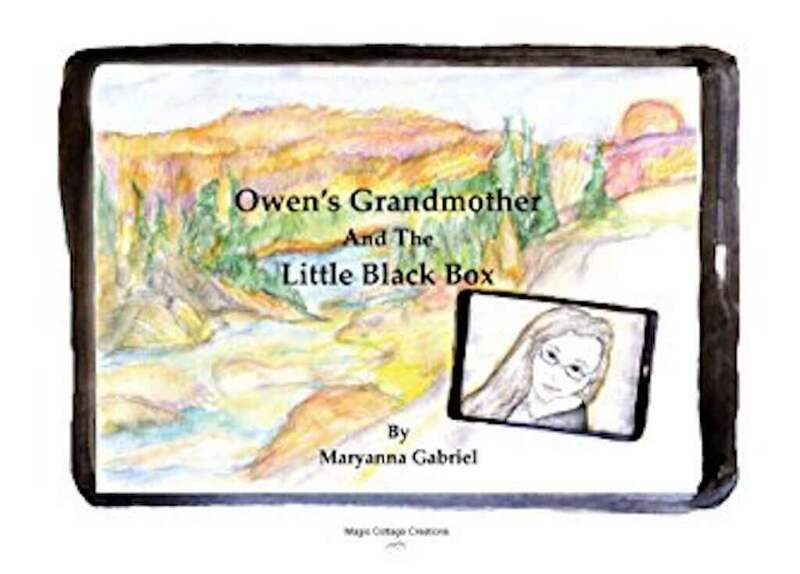 Her own grandchild inspired her to write, illustrate and publish this story. As the title indicates, this story is told from the grandmother’s point of view rather than from the grandchild’s. Owen lives far away and can’t see his grandmother as much as he wants to. But when she visits him in person, the visit is much more satisfying than having to communicate through ‘a little black box’ – an iPad, a way of communicating that is quite normal to today’s children but perhaps less so to grandparents. This is a universal story that will be recognizable by many grandparents and grandchildren who are separated by distance and who communicate via Skype. Maryanna’s book is available through local bookshops and online, in print as well as in Kindle version. Margriet Ruurs is the author of over 30 books. Her upcoming next title is Stepping Stones, the story of a refugee family’s journey, a book that will benefit refugees. She runs Between The Covers Booklovers’ B & B on Salt Spring Island.